I offer a wide variety of packages ranging from my weekday DVD package to the diamond wedding storybook package. I offer prices to suit every couples budget so please feel free to contact me for a quote. Please contact me for more details. To book a package for your wedding a deposit of £100 will secure my services. All wedding services are photographed by myself and no part-time operators are used. To view samples of my work with finished albums in your home or my office please telephone for an appointment. This package is for smaller weddings at the following registry offices: Rochester, Maidstone, Sittingbourne and Dartford. I am happy to quote for other registry offices. The price includes the arrival of the bride and groom, the ceremony and other shots at the registry office. At least 125 high-resolution images are supplied, copyright free, on DVD. 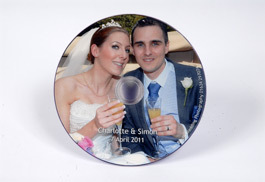 Complete coverage of the wedding at one venue with DVD supplied with high resolution images. Complete coverage of the wedding at one venue. 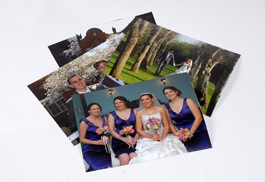 Around 200 shots are taken and the Bride and Groom can choose 20 prints at 8X6″ size in either colour or black and white. A DVD of all the images is also included in this package. I offer a selection of albums if required at an additional charge. 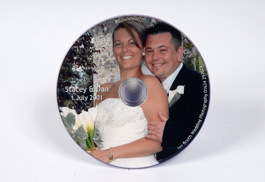 Complete coverage of the wedding at one venue with a DVD supplied with high resolution images. Complete coverage of the wedding at one venue. Around 400 to 500 images taken which includes casual shots in a reportage style. The Bride and Groom can choose 35 8X6″ prints in either colour or black & white, supplied in an album with a choice of colours. A DVD with all the images in high resolution is also included. Complete coverage of the wedding, covering photography at the Brides house, up to a mock up of the cake being cut. Around 400 to 500 shots are taken which includes some casual shots in a reportage style. Forty images are then chosen by the Bride and Groom for a 10X10″ photo book. These modern stylish books are printed with varying backgrounds and supplied with a photographic or plain cover to allow the Bride and Groom to personalise it. The final design is then approved before being printed. A DVD with all the images in high resolution as also included. Complete coverage of the wedding, including the bridal preparations at home or at the venue (if required) and up to the first dance. Around 500 images are taken, which include a mixture of traditional and reportage photography to capture and tell the story of the day. 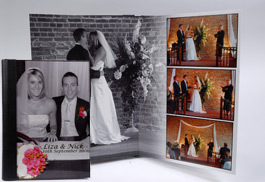 The bride and groom can then choose 90 images to be designed and printed in a 10″X 14″ story book with 50 pages. These modern and stylish books are printed with varying backgrounds and are supplied in a presentation box. The book comes with a photographic cover with the bride and grooms names and date of the wedding. Before printing the bride and groom can check the final design via a pdf file. All images are supplied hi-resolution on a dvd or memory stick and can be used copyright free for printing etc. 8″X6″ copies of the book for parents, bridesmaids etc.